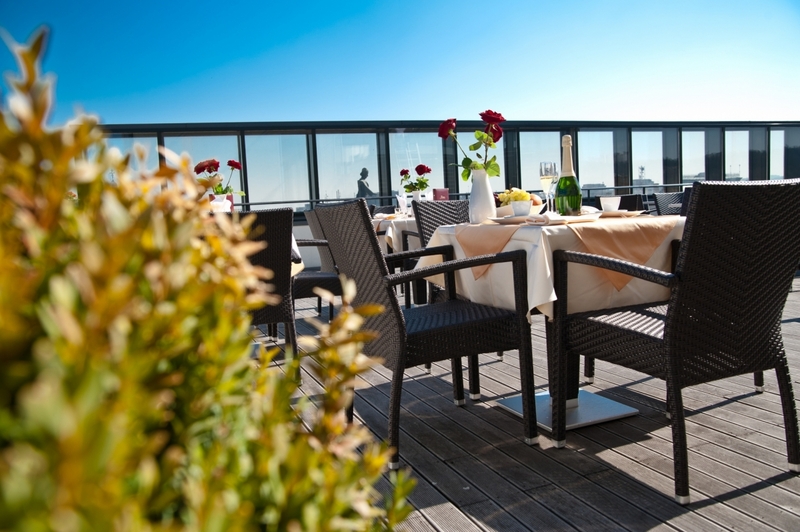 Here you can experience a contemporary version of the classical “bar and grill” in a spectacular, new setting. The grill bar offers casual dining that can be enjoyed either as a relaxed, leisurely experience or as a comfortable, quick-bite. 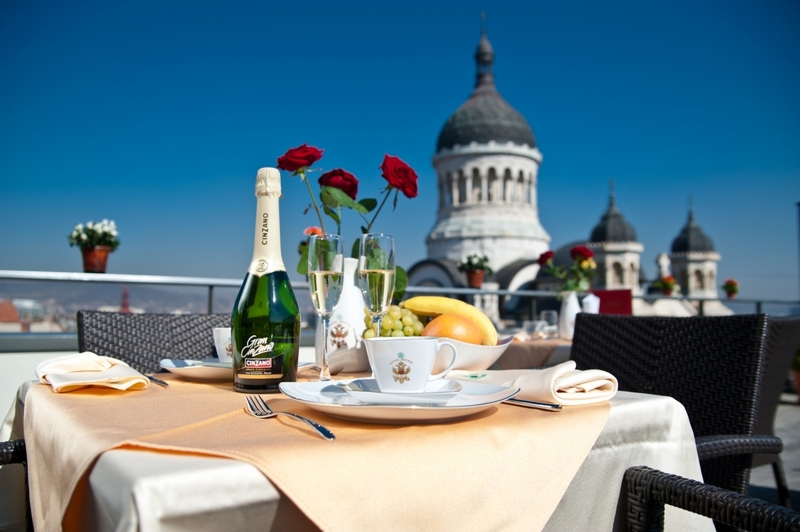 It is ideal for an aperitif or an after-dinner drink in an incredible surroundings. 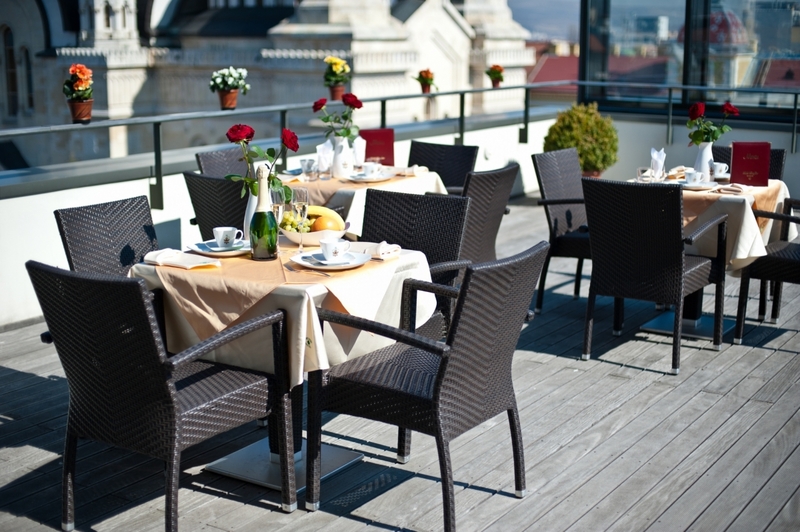 Eating and drinking at the Hotel Beyfin’s 6th floor panoramic grill bar in Cluj are the perfect moments of a long stressful day. In the summer nights, the romantic play of lights reflecting on the Cathedral and on the Justice Palace, and the soft music that comes from the beautiful square Avram Iancu, create a magical atmosphere, a feeling of being in another time and space.